quarter and full year 2018 and provided full year guidance for 2019.
adjustments, acquisition-related costs and certain significant items. $3.13 per diluted share, an increase of 29% and 30%, respectively. products grew 7% on a reported basis and 14% on an operational basis. builds on the 20-year trusted legacy of feline Revolution. in Asia and the Middle East. This guidance reflects foreign exchange rates as of late January. will be discussed on the company’s conference call this morning. 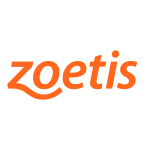 by visiting the Zoetis website at http://investor.zoetis.com/events-presentations. are complemented by biodevices, genetic tests and a range of services. acquisition-related costs and certain significant items. measure) is defined as growth excluding the impact of foreign exchange. Statements and Factors That May Affect Future Results” and “Item 1A. tables accompanying this press release and are posted on our website at www.zoetis.com. for important information about us. three and twelve months ended December 31, 2018 and 2017.
for the three and twelve months ended November 30, 2018 and 2017.
except as discussed in footnote (c) below. three and twelve months ended November 30, 2018 and 2017.
understand how management assesses performance. except as discussed in footnote (d) below. Information for notes (1), (2) and (3). banking, legal, accounting and other similar services. in Restructuring charges and certain acquisition-related costs. charges and certain acquisition-related costs. (d) Included in Provision for taxes on income. in 2014 and 2016, included in Other (income)/deductions—net. (f) Included in Provision for taxes on income. the disposal of certain assets. should not be viewed as, substitutes for the corresponding U.S.
is defined as growth excluding the impact of foreign exchange. The guidance reflects foreign exchange rates as of late January 2019.
therefore, components of the overall adjusted income measure. to more fully understand how management assesses performance. EPS are not, and should not be viewed as, substitutes for U.S.
GAAP net income and its components and diluted EPS. material impact on GAAP reported results for the guidance period. related to the acquisition of Abaxis and other charges. recent Annual Report on Form 10-K.
and other costs not charged to our operating segments. not charged to our operating segments. transaction costs and integration costs. an operating segment, as well as procurement costs. charged to our operating segments.